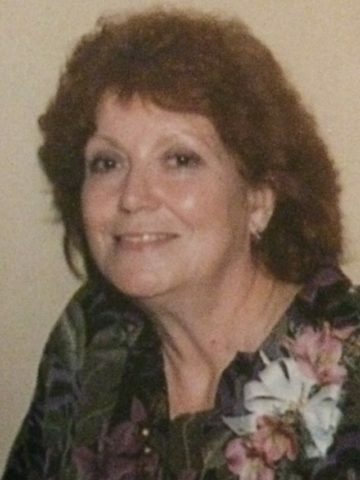 Marcella Jean Mayes Tidwell age 71 of Hendersonville, passed away on June 8, 2017. She was born on August 8, 1945 to the late William Rex and Margaret Mary Owen Mayes in Nashville, Tennessee. Mrs. Tidwell was an artistic person; having the ability to look at items and recreate them herself. At one time she took a barn window that had 9 panes of glass and made each pane into different scenes, cutting pieces of wood to make everything from trees to seesaws. She was gifted by being able to hear a song and after a few minutes play it on a piano, yet she never had a lesson. Her true passion however was for Genealogy. Jimmy said he can remember she spent numerous Saturdays in a library, state archives and even cemeteries finding out where they came from. Mrs. Tidwell was able to research her side of the family back to the 1600’s and her husband’s side back to the 1500’s. This was all before the numerous website; back when you spent time looking though books and mircofilm. In addition to her parents, Mrs. Tidwell is preceded in death by her husband, James Leroy Tidwell; brother, Rex Maurice Mayes and sister, Theresa Flint. She is survived by her son, Jimmy Lee Tidwell and numerous nieces and nephews. A Life Celebration will be held at 1:00pm on Monday, June 12, 2017 in the Cole & Garrett Chapel in Goodlettsville with Pastor Larry Treadway officiating. Burial will follow at Woodlawn Memorial Park in Nashville. The family will receive friends on Sunday, June 11th from 12:00pm until 8:00pm then again on Monday from 10:00 am until the time of service. These arrangements were entrusted to Cole & Garrett Funeral Home 127 N. Main Street Goodlettsville, Tennessee 37072. What a great lady! So warm and inviting! She was not shy about showing her love for her family and especially bragging on her son Jimmy. Just found out about Marcella passing away. I worked with Marcella and we also spent time outside of work. We took a trip to my hometown to research my family history. Marcella had a great sense of humor, could draw anything. I still have a few sketches she made for me. I will miss her laugh. I know she was so proud of her son Jimmy. Marcella loved cats. I am so sorry I did not know about Marcella’s passing.